Keppel REIT’s 4Q18 DPU of 1.36 Scts (-5% y-o-y) in line with expectations. 12.9% positive rental reversion in FY18 to support earnings going forward. Potential resumption of share buyback to limit downside to share price. We maintain our BUY call on KEPPEL REIT (SGX:K71U) with a lower Target Price of S$1.31. Keppel REIT’s share price typically leads a recovery in spot office rents by 6-12 months. According to CBRE, Grade A CBD rents had risen by another 3% q-o-q to S$10.80 psf/mth by end-4Q18, and is 21% higher from the low of S$8.95 psf/mth in 1H17. Thus, we believe office rents are on a sustained upturn and Keppel REIT’s share price should start to stage a rally following the correction in 2018. Where we differ – Large discount to book unjustified. Consensus has a HOLD rating with a Target Price that implies Keppel REIT should trade at a large discount to its book value. However, with FY18 marking the cyclical low in Keppel REIT’s DPU, we are more forward looking and focus on the projected growth in DPU from 2019 onwards which would be the first y-o-y increase in DPU in over five years. 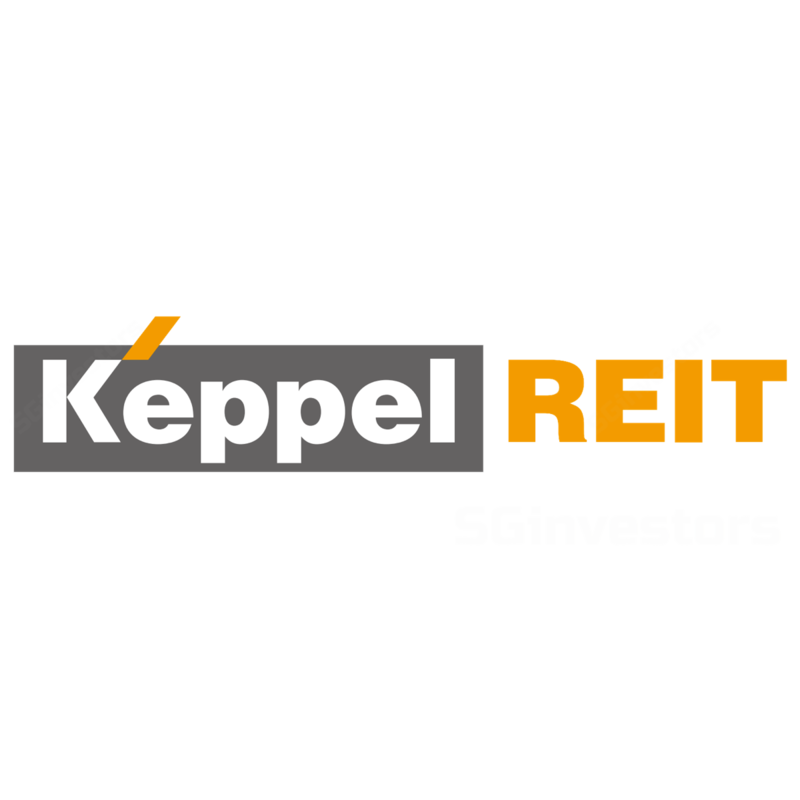 In addition, with management conducting a share buyback, the first S-REIT to do so, this should send a strong signal that Keppel REIT is significantly undervalued, considering several office buildings in less prime locations have been sold at a cap rate between 1.7-3.2%, below the 3.60-3.65% to value Keppel REIT’s best-in-class Grade A buildings in Singapore. Recovery in DPU and positive rental reversions. We believe the expected recovery in DPU and delivery of positive rental reversions on the back of higher spot rents would be catalysts to close the discount to Keppel REIT’s book value of c.S$1.40. On the back of a delay in opening of 311 Spencer Street and higher debt balance, we lowered our DCF-based Target Price to S$1.31 from S$1.32. Key risks to our positive view are weaker-than-expected rents sing DPU to come in below expectations. Keppel REIT had a soft quarter as expected with 4Q18 DPU down 5% y-o-y to 1.36 Scts. This resulted in FY18 DPU of 5.56 Scts (-2% y-o-y), in line with our 5.55 Scts forecast but below consensus expectations of 5.80 Scts. The decline in 4Q18 DPU was largely a function of the sale of a 20% interest in Ocean Financial Centre (OFC) which was completed on 11 December 2018, a weaker AUD, impact from prior negative rental reversions, and weaker occupancies in several buildings. The fall in 4Q18 DPU was tempered by $3m worth of capital distributions, the first payment of gains since 3Q16 and which was unexpected. We understand the rationale for the distribution of gains was to maintain a stable DPU and to mitigate against the loss of income from the sale of a 20% interest in OFC. These factors also resulted in 4Q18 revenue and NPI falling 15% and 16% y-o-y respectively. With the exception of Bugis Junction, the majority of Keppel REIT’s properties reported lower y-o-y earnings in 4Q18. Bugis Junction was stable y-o-y with 4Q18 NPI at S$4.2m as occupancy has now stabilised at 100% from 97.6% at end 4Q17, offsetting the impact of lower passing rents due to the fall in market rents over the past few years. Meanwhile, 4Q18 NPI for Ocean Financial Centre (OFC) fell 17%, mainly attributed to declines in occupancy to 96.1% from 100% in 4Q17. The lower occupancy was due to early termination of some ANZ leases in the 2Q18. We understand occupancy was flat q-o-q largely due to management focusing on maximising rents during the current upturn in the office market. For Keppel REIT’s Australian properties, 275 George Street and 8 Exhibition Street had a tough quarter, with 4Q18 NPI falling 28% and 9% y-o-y to S$2.7m and S$2.4m respectively. Beyond the impact from the depreciation of the AUD over the past year, we understand while committed occupancy at 275 George Street has recovered to 99.3% from 93.4% in 1H18, rental income from the new tenants has not kicked in. For 8 Exhibition Street, the weak performance was also due to occupancy falling to 98.7% from 99.7% in 4Q17 albeit a slight improvement from 97.2% in 3Q18. Associate income from Marina Bay Financial Centre (MBFC) and One Raffles Quay (ORQ) both fell by 15% each, owing to higher borrowing and marketing costs. In addition, occupancy at ORQ while high was still down y-o-y at 96.1% from 100.0% in 4Q17. Meanwhile, income received from 8 Chifley Square and David Malcom Justice Centre were down 4% and 2% respectively as a consequence of the lower AUD. Despite weakness in occupancy for several of Keppel REIT’s buildings, overall portfolio occupancy remained healthy at 98.4%, marginally lower than 99.7% reported in 4Q17. For 2018, Keppel REIT disclosed that it had achieved signing rents in Singapore of c.S$11.10 psf/mth higher than S$10.88 psf/mth, S$10.74 psf/mth and S$10.05 psf/mth for 9M18, 1H18 and 1Q18 respectively. On the back of progressively higher signing rents, Keppel REIT achieved 12.9% positive rental reversions for the year 2018. This is higher than the 8.7% positive rental reversions reported for 9M18 and mid-single digit rental reversions in 1H18. 3) and minimal leases up for renewal (0.3% of leases), we estimate Keppel REIT was able to negotiate for DBS to pay rents between S$10-12 psf/mth, up from high single digits previously. Post the renewals and rent reviews in the last quarter, for FY19 and FY20, 4.2% and 8.2% of leases are up for renewal respectively. Meanwhile, another 0.4% and 3.5% of leases are subject to rent reviews in FY19 and FY20 respectively. For FY19, we understand the majority of Singapore office leases expiring and due for review range between S$9.10 and S$12.00 psf/mth. Based on CBRE data, with Grade A CBD rents rising from S$9.40 at end December 2017 to S$10.80 psf/mth currently and expected to climb another 5- 10% in 2019, Keppel REIT should be able to maintain its trend of higher signing rents and positive rental reversions. Based its annual revaluation exercise, the valuation of Keppel REIT’s Singapore properties were generally stable, and changes in rental assumptions had offset the impact of 10-15bps compression in cap rates. Keppel REIT’s valuers now use 3.60-3.65% cap rate versus 3.75% previously. Meanwhile, in Australia, cap rates were largely stable with the exception of 8 Chifley Square and 275 George Street which reported 12bps and 38bps compression in cap rates to 4.88% and 5.25% respectively. This resulted in 1% and 6% increase in valuations for 8 Chifley Square and 275 George Street respectively. For 8 Exhibition Street, despite cap rate being maintained at 5%, the property value increased by 6%, largely on account of higher income assumptions. Overall, combined with S$33m of revaluation gains and sale of a 20% interest in OFC, aggregate leverage fell to 36.3% from 39.1% at end 3Q18. On the back of the revaluation gains, adjusted NAV per unit (excluding distributable income) inched up to S$1.39 from S$1.38 at end 3Q18. Borrowing costs remains steady q-o-q at c.2.8% although higher than the 2.6% reported at end 4Q17. To mitigate the impact of higher interest rates, the proportion of fixed rate debt was lifted to 85% from 76% in the prior quarter. To better manage its balance sheet risk, Keppel REIT disclosed that around 5% of its debt is in AUD and it intends to increase this proportion over time to better match the fact that c.15% of its assets are located in Australia. While borrowing costs in AUD is more expensive, this is expected to be mitigated by tighter credit margins. 311 Spencer Street will now only be completed in 2Q20 instead of 4Q19 previously. This is due to variation works requested by the tenant, Victoria Police. However, we understand the extra costs will be borne by Keppel REIT’s other 50% JV partner, CBUS Property. Thus, on the back of the delay in earnings contribution and higher than expected debt balance at end FY18, we lowered our FY19-20F DPU by 5-6%. Nevertheless, given guidance that Keppel REIT intends to maintain stable DPU and potentially offset the potential impact of the sale of a 20% interest in OFC, we have assumed S$8- 10m p.a. capital distributions over FY19-20F. This results in a 1-2% cut to our FY19-20F DPU. On the back of lower underlying earnings, we have trimmed our DCF based Target Price to S$1.31 from S$1.32 previously. In FY18, Keppel REIT bought back c.S$32m worth of shares at between S$1.12 and S$1.19 at an average price of S$1.16 per share. Given that Keppel REIT continues to trade below its book value, we believe there is a high likelihood that Keppel REIT would recommence its share buyback after the release of its full year results and seek investor approval to continue this buyback in its upcoming AGM. Thus, in our view, this should provide downside protection to Keppel REIT’s share price in the near term. We have penciled in around S$25m worth of share buybacks per annum over FY19 and FY20. With Keppel REIT leveraged to the upturn in the Singapore office market and trading at c.15% discount to its latest book value with downside protection to Keppel REIT’s share price afforded by the potential resumption of Keppel REIT’s share buyback, we reiterate our BUY call with a revised target price of S$1.31.